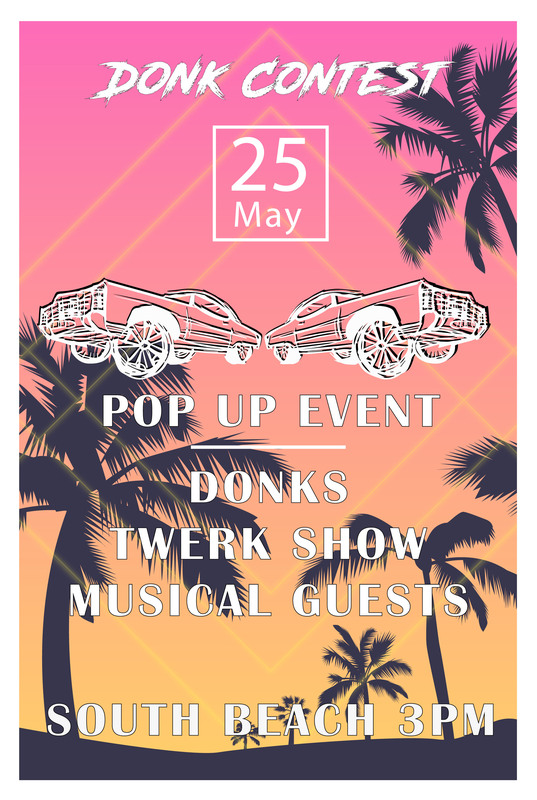 After the increible success of the 2019 Donk Contest in Austin, Texas, the Donk Contest is having a special Pop Up Event in Miami's South Beach on May 25, 2019. There will be Donks, twerking, and special prizes only found at this one-time Pop Up Event. The event begins at 3PM and is expected to last until 7PM. The schedule will be released shortly. Thanks to our incredible investors, the event will be free to enter or spectate. If you are registering a Donk, please use the register your ride form on our website so we can expect you. For more info check our social media channels including the Facebook Event Page.